The perfect place to spend your first night as a married couple... the spacious Bridal Suite envelopes you in luxury and privacy. 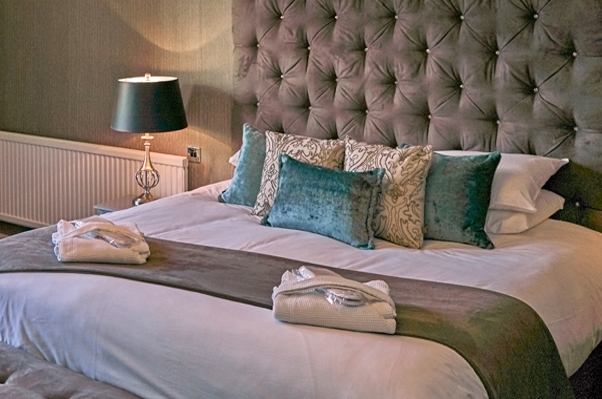 With your own lounge area, kingsize bed and newly refurbished en-suite with luxurious bath and separate shower, it is the ideal romantic conclusion to your special day. The suite also comes with its own intimate dining room for you to share the first breakfast of married life in complete tranquility. The relaxing suite provides a haven for you throughout your busy day and the hotel team will be on hand to ensure you have everything you need.